That day your child turns to you asking if you can take them to their driver's test is equally exciting and terrifying. Exciting because you can begin to put the role of a chauffeur in the past, and terrifying because you are letting your baby out into the world...with your car. If your child is driving your car, they need to be added to your insurance policy. The best way to do this is to add your child as a secondary driver. Adding another person to your insurance does come at a cost, however, especially if you are adding someone that is young and inexperienced behind the wheel. 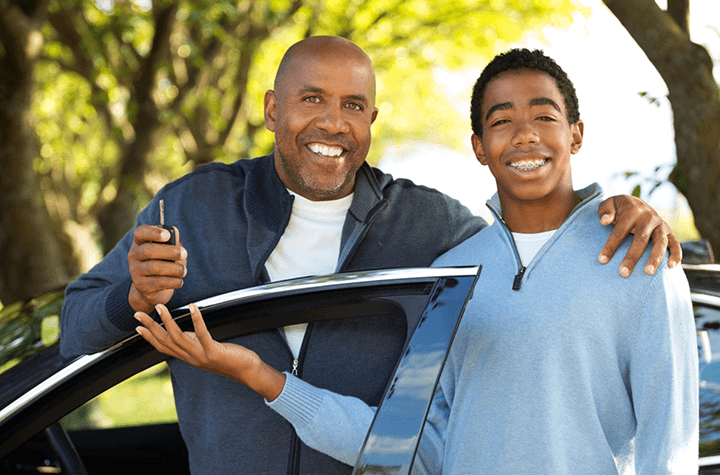 To help keep the cost down, while still ensuring you have proper coverage, we came up with a list of ways to save on your auto insurance when adding your teen as a secondary driver. Enrolling your child in an accredited driving course can have multiple benefits. Most importantly your child will have a better understanding of how to be a safe driver, but you will also get a discount on their insurance policy. Insurance providers reward those who have taken the time and completed the proper training when learning to drive. In addition to those benefits, some driving schools also offer perks, such as vouchers for oil changes or other maintenance at a local auto shop, or a complementary CAA membership. The make and model of the car you want to insure makes a big difference when it comes to the cost of your premiums. So, if your household has multiple vehicles at its disposal, be smart about which one you choose to name your new driver as a secondary. For example, if you own both a flashy sports car and a soccer mom level mini-van, it would be much more cost effective to put your secondary driver on the high safety rated mini-van versus the speedy high-risk sports car. Sure, it isn’t as glamorous for them to show up to school or a date in a mini-van, but it is a rite of passage for a teen, and they will grow to embrace it. Many insurance companies offer discounts to students with good grades, but they will not come right out and offer it, you need to ask. Depending on your insurer there may also be some other discounts or promotions that you could be eligible for if you outright ask for them. So, when adding your child to your policy, be sure to speak to your broker about any discounts and promos that may be able to save you money. Much like with any insurance scenario, the best way to save money and ensure you get the coverage you need is to shop around. Shopping around allows you to compare prices and see what discounts and promotions other insurers can offer you. When your insurance needs change, such as adding your newly licensed child to your policy, it is worth your while to see what else is out there that could be better suited to you and your family.